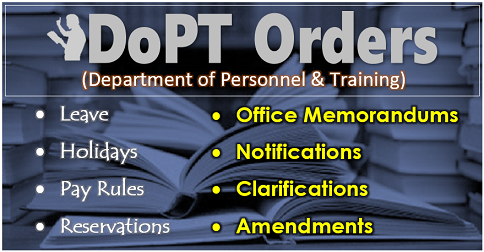 The Services, in the JSM, have sought enhancement of the Service Pension to 75 percent of last drawn reckonable emoluments for JCOs and ORs. 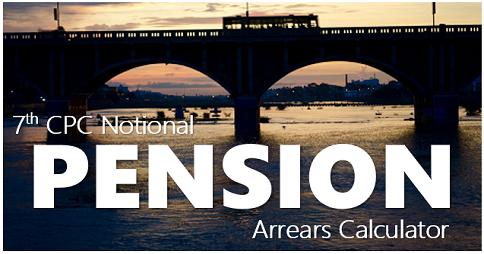 In case enhancement of pension to 75 percent of last drawn reckonable emoluments is not granted for JCOs/OR, the Services have sought a compulsory early retirement compensation package or compulsory lateral absorption in government or PSU as an alternative. Service pension for all categories of employees has been fixed at 50 percent of the last pay drawn. 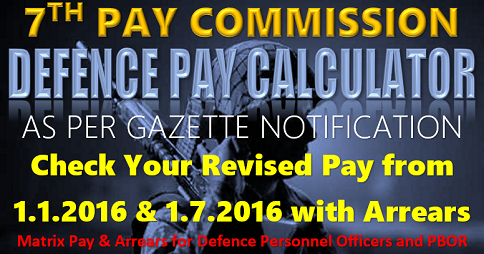 The recommendations in relation to pay of both the civilian and defence forces personnel will lead to a significant increase in the pay drawn and therefore in the ‘last pay drawn’/‘reckonable emoluments.’ It is also to be noted that in the case of defence forces personnel, in particular all JCOs/ORs, the last pay drawn includes the element of Military Service Pay, which is also taken into account while reckoning pension. 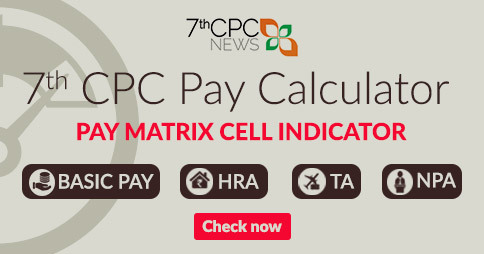 The Commission has Report of the Seventh CPC 402 Index also recommended an increase in Military Service Pay. The increase in pay and MSP will automatically and significantly raise the level of pension of JCOs/ORs, since pension is related to the last pay drawn/ reckonable emoluments. Therefore the Commission does not recommend any further increase in the rate of pension for JCOs/ORs. 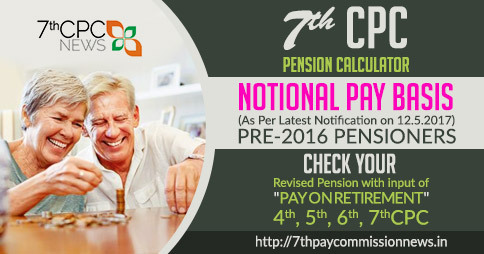 Please enlighten me the my latest pension as per 7th PC pay matrix system.. I am 216233 Ex-Sgt. left Air Force after 16 (R) 16 years of service on 31.12.1974. (served one year more due to Bangladesh war Emergency) . My trade was WOM I (renamed now as Radio Fitter) i.e.Group I…Currently My basic Pension is Rs.22560. Can Your highness enlighten me please, regarding my PENSION as per latest 7th Pay Commission Pay & pension Matrix system as I am the Pre-2016 & Pre-2006 retiree. Please Note that there was no MSP on my retirement time. Pse Help! And 2 time caling for army ,and 2 time attinding the war 1965 and 1971 and totel sarvic 15 yeres but my panshan is very low ???? I am retired on 31.12.15 & pension basic 7681 on 1.1.16 as Havildar defence personal. 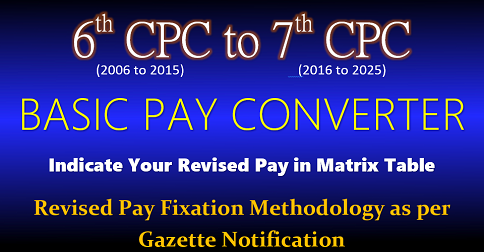 Please let me know my pension basic as per 7th CPC on 1.1.16 and fitment factor. What is my pension basic as on 1.1.2016. 50% of your last basic pay as on 31/3/2019. Respected sir,I am Ex Sub(Hony Sub Maj) total service period 28 years complit and retirement date 31May 2007.ASC /MT.please you sow of my latest pension/family pension for 7th CPC . I retire from India n navy on 30 june1994with 15yrs of service in the rank of chief Petty officer equivalent to jco of army.what will be my new pension wef 1/1/2014. I will be retire on 31st Mar 2019 next year after completion of 30 years of service. What is the my full pension without computation? 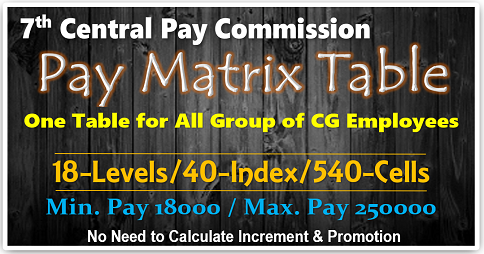 How much should I get my basic pension as per all CPCs as on today. Pl tell on my gmail address. Self retired on 1st June 1992. Is MSP applicable to the Ex Sgt of Air Force. As per Seventh Pay Commission. And what is the VedVerdict of Honourable Delhi High Court. I am Ex SCPO from Indian Navy retired in December 1993. I was promoted to SCPO on 01/07/1993 completed 6 month service in the rank of SCPO, but due to less than 10 month service. I am not getting the pension of CPO also they have not issued the PPO of SCPO due to which I am deprived from benefits of SCPO. what is the solution of this. Sir I retired from army on 31st May 2003,after 17th years of service as nk (ts) my disability pension was 20% when I was retired, my question is that how much my total pension in present including disability pension, please infom me about my pension at the earliest. Thanks. Contact your ex-employer. After retirement there is no increments. Only Dearness allowance may be for every fortnight it may revise.